Cross-cut basswood sections has natural bark around the outer edge. 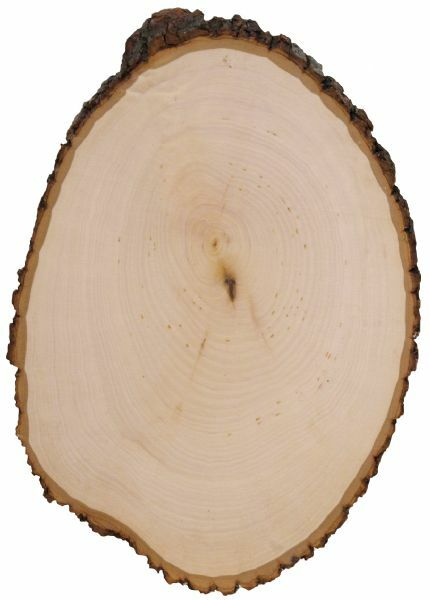 * Dried to a lower moisture content than most to prevent cracking or splitting from bark. * Ready to stain paint woodburn carve stamp color etc. Extra Large 11-13". 17.5" x 13.5" x 0.69"